200 Statement of Grounds submitted. VCAT hearing date set. Approximately 200 resident’s Statement of Grounds have been submitted to VCAT; and copies served to Council and the developer’s solicitor. Even if you missed today’s deadline set by VCAT, drop your completed SoG at one of the local drop boxes anyway, and we will submit them on your behalf regardless and request VCAT accept them. VCAT has now ordered the date for the hearing. The hearing will commence Monday 3rd February 2014. Many people wrote on their SoG they will present at the hearing. If you plan on presenting at the hearing, you are welcome to contact us (email info@protectnewport.com) to coordinate presentations. CRITICAL step in the fight at VCAT: Please complete ‘grounds’ forms THIS WEEK. Complete forms ASAP –> place in nearest drop box –> we will transmit to all parties. OFF TO VCAT once more. PLEASE COMPLETE AND RETURN YOUR FORM BY SUNDAY 10TH NOV. The overwhelming number of resident objections and the obvious inappropriateness of scale and design resulted in Council’s Special Planning Committee decision to refuse the developer’s application to build this monstrosity in our neighbourhood. Thank you everyone for your decisive action. But, (and for the third time) the developer is objecting to Council’s refusal and has paid to be on the VCAT Major Case List, which fast-tracks the hearing process to his benefit. VCAT has scheduled a very fast timeframe for objectors to submit paperwork, so we are under pressure to complete STATEMENT OF GROUNDS forms as quickly as possible. FORMS: Objectors can oppose the developer and support Council at VCAT by completing a Statement of Grounds (SoG) form. If you did not object originally, you can still participate by completing a SoG form. SoG forms below. REPRESENTATION: A resident action group is again stepping forward to represent objectors, which will reduce the burden on objectors to be part of the VCAT process. Hearing date still to be scheduled by VCAT. NO COSTS: There are no VCAT fees for objectors to pay, and no cost orders if the developer wins. TIME: Going to VCAT will not cost you time if you wish to be represented by the resident action group. 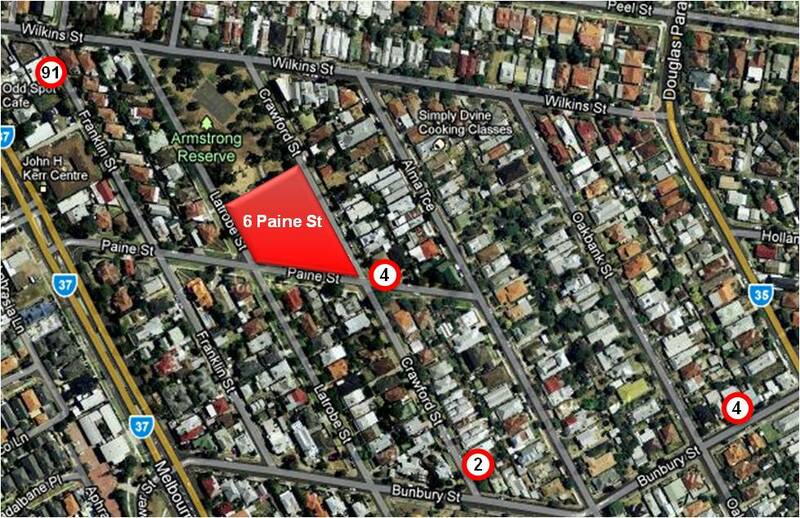 Paine St elevations* – two and three storey façade with minimal set-back. Large car park entry. Crawford St elevations* – two and three storey façade with minimal set-back. Two sets of storey high stairs. * You can view the application and plans here. If you oppose this development (and what it represents and sets precedents for) please support your neighbourhood by completing a SoG as soon as possible, preferably before 10th November. Below are multiple SoG forms, anybody in the household can complete one – the more the better. We have also enclosed SoG documents, these contain the most pertinent points and you can use it as a reference for completing the blank SoG form, or submit the pre-completed SoG forms. Drop them off at these collection points and the resident action group will copy and serve them on your behalf. Get them to us as quickly as possible. You need to provide one form per objector. Example/pre-completed Statement of Grounds forms. (this can be signed and submitted ‘as is’ if you wish). Blank Statement of Grounds form and Guidelines. (this can be used to write your own SoG content).